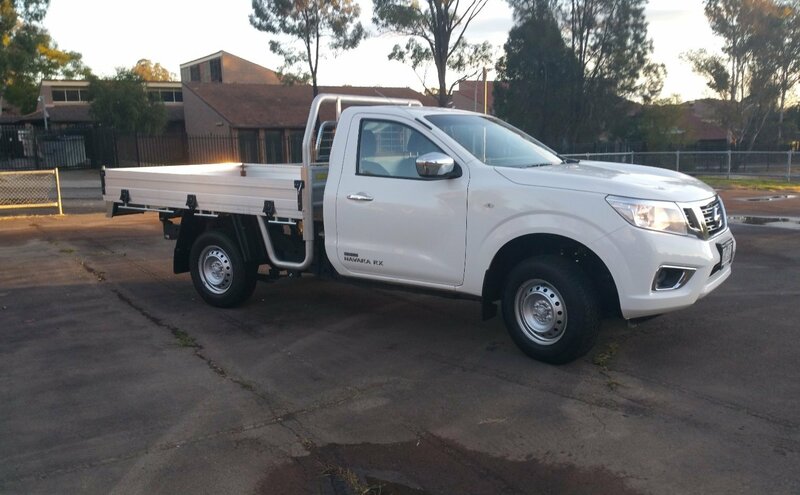 THE 2016 Nissan Navara NP300 RX 4×4 Diesel (Single Cab) could just be the best looking tradie truck on the market. It’s got great exterior styling, and looks the part, and from behind the wheel it feels better than the previous models by a long way. 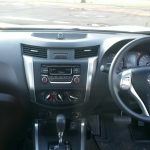 Nissan has made improvements all over the place with the Navara, not the least of which is the styling and look and feel. It looks like its bigger brothers in the king cab and dual cab ranges, rather than a separate model and that will mean a lot to many buyers. 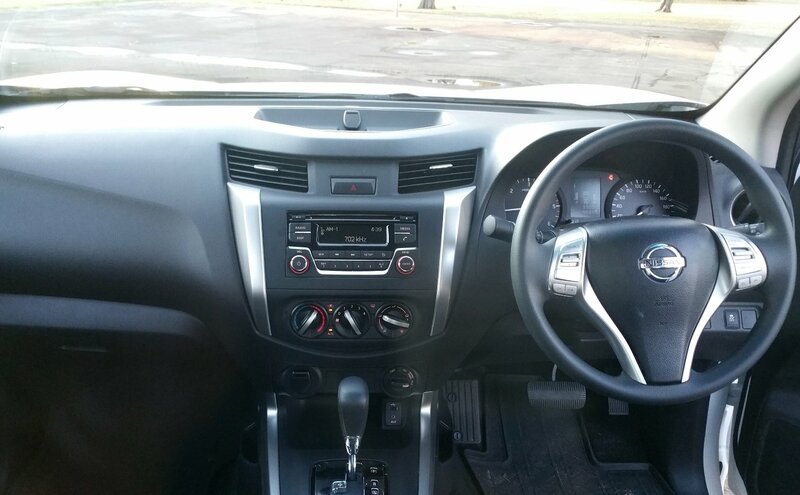 That new look, coupled with a boosted power plant and a six speed manual or optional seven speed auto gearbox makes the RX 4×4 a great option for the discerning tradie. Under the hood, the single cab is powered by a 2.3-litre single turbocharged diesel engine pushing out an effective 120kW of power and 403Nm of torque, and boasting 6.6L/100km in fuel economy. Where the Navara comes into its own is its payload and towing capacity. 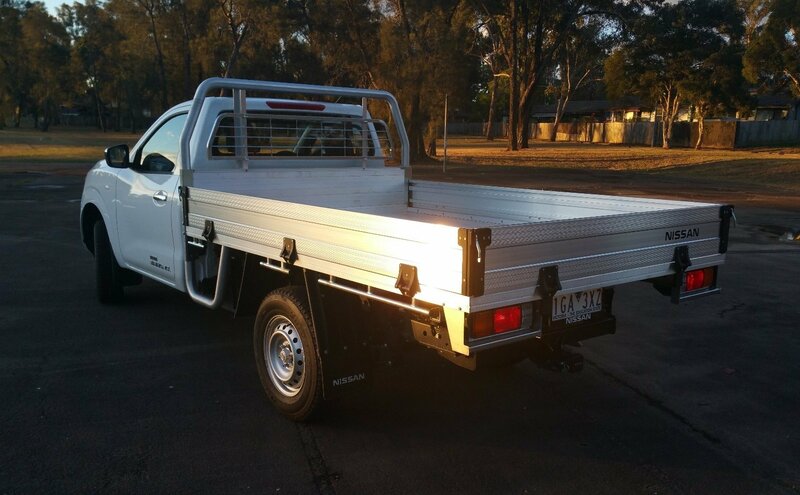 We’re talking 1280kg on the tray, and a 3,500kg towing capacity with a braked trailer. Both are exceptional and put it at the class leading or class equaling end of the market in single cab utes. There’s a real spare tyre and an excellent 80-litre fuel tank (we didn’t refuel in the entire week we drove around in it, which says buckets for the performance of the Nissan). It’s also got remote keyless entry, 16-inch steel wheels and decent rubber, and a host of safety inclusions. As standard, you’ll find ABS, traction control, dynamic stability control, active limited slip braking and brake assist, seven airbags, daytime running lights, and automatic headlights. For security, the RX 4×4 is fitted with not only an immobiliser, but and alarm as well. Inside there’s cloth seats, a single CD audio system with AUX and iPod inputs, Bluetooth and hands free (see below for our thoughts on the audio and media capabilities), four cup holders and two drink bottle holders. Both inside and out, there’s chrome styling everywhere. Behind the cab is a solid roll over bar with cage protection for the rear window, and the tray is easy to use, simple to manipulate and feels incredibly solid, even when we walked all over it with various loads to test it out. 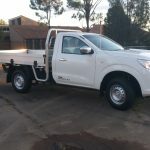 Remembering it’s a tradie truck, this thing is noisy, really noisy – and for us that was the most significant disappointment, along with sloppy steering. That said, there weren’t many other things to balk at. The media system is below par (no decent screen and an awful connection process to the Bluetooth) and the sound system overall is not that fantastic either. Some of its rivals have better audio and an easier to use infotainment system that offers a more user friendly experience. Some of its rivals don’t let in so much road noise and some of its rivals even have a reversing camera. 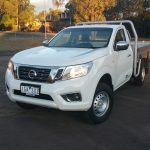 But you can get into the base model Navara single cab for under $20,000 (our test vehicle is at the top of the single cab food chain and will set you back just over $32,000 – still decent), it looks great, and the payload and towing capacity is incredible, so what’s not to love. 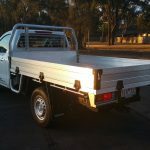 You’ll notice below we’ve also substituted Payload/Towing Capacity into the rating system where family friendliness normally sits, because let’s face it – it’s a tradie truck – and the kids aren’t ever piling into a single cab are they. Colours, well if you’re expecting a lot – don’t – white or silver – that’s it (Polar White and Brilliant Silver officially). Warranty is three years/100,000km and it comes with Nissan’s three year roadside assistance program as standard. 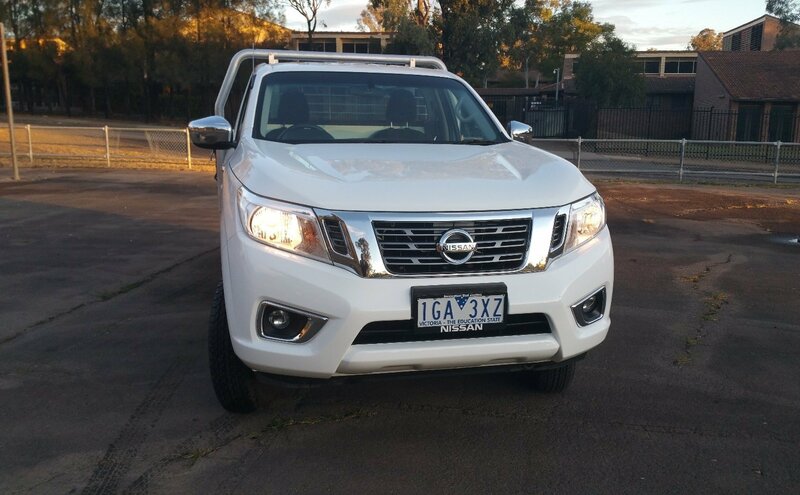 Our test vehicle was provided by Nissan Australia. 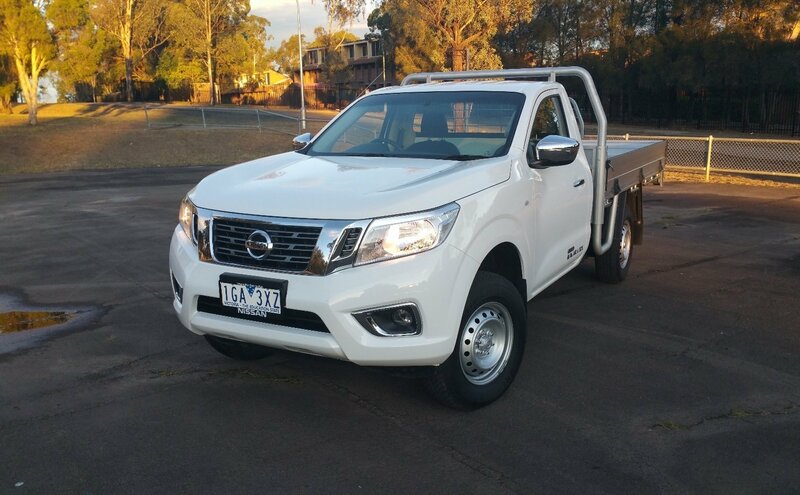 To find out more about the 2016 Nissan Navara NP300 RX 4×4 Diesel (Single Cab), contact your local Nissan dealer. Pros – Exceptional payload/towing; car like ride and handling; built tough. Cons – no reversing camera; road noise; ordinary stereo/media system. This is a whole load of nope. That media system is archaic, and having test driven one, I disagree with the rating on the drive. I was looking forward to the new Navara, having owned one previously, but now I definitely won’t be buying. For me, the Isuzu D-Max range is better! FOLLOWING the launch of the Colorado SportsCat and Chevrolet Silverado ranges, HSV has today confirmed pricing for the new Chevrolet Camaro 2SS, with the high peformance two door set to hit the road at $85,990.